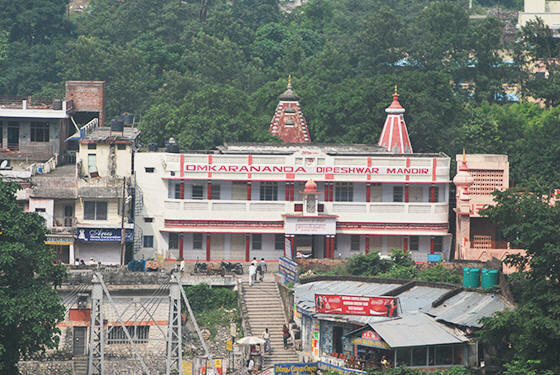 The Omkarananda Dipeshwar Mandir is situated at the holy river Ganga, directly at the world-famous Lakshmanjhula Bridge. 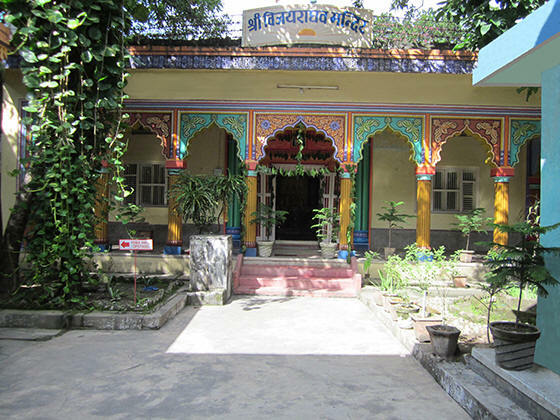 This beautiful Temple is regarded as a Siddhapeetha because of its vibrant, spiritual atmosphere. Lord Shiva had appeared in the dream of an ardent devotee of Lord Rama as “Shri Dipeshwar Mahadeva”, surrounded with the blazing Light of innumerable Dipas, requesting the devotee to build a Temple. With the inspiration of Lord Rama this Temple was integrated into the spiritual family of His Divinity Paramahamsa Omkarananda Saraswati. 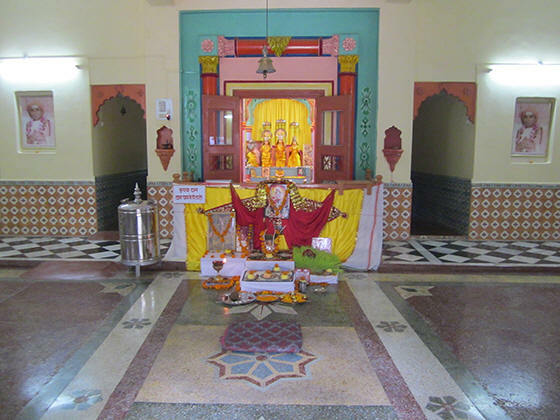 Daily Pujas as well as all the important Hindu Festivals are always conducted with great fervour in Omkarananda Dipeshwar Mandir, which is visited by devotees from far and wide for obtaining divine blessings. 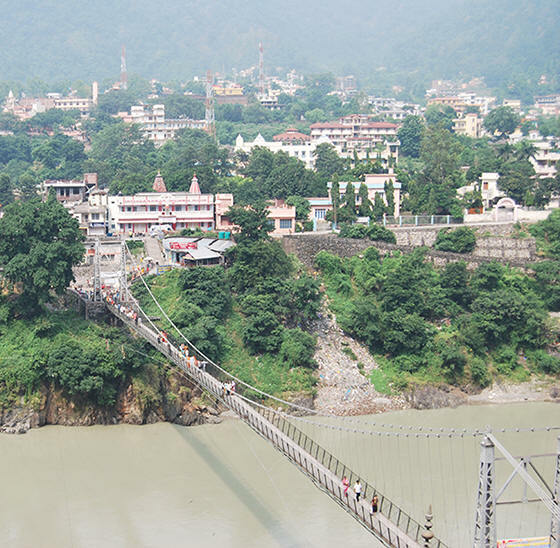 holy Ganga directly at the world-famous Lakshmanjhula Bridge. 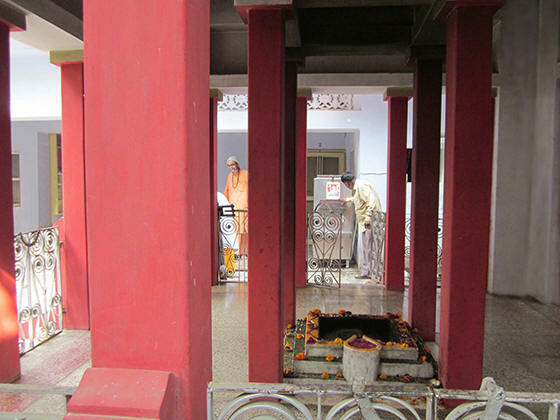 The Shrine of Lord Shiva as Omkarananda Dipeshwar. inside the Omkarananda Dipeshwar Mandir Complex. lovely Murtis of Lord Rama, Sita Devi, Lakshman and Lord Hanumanji. 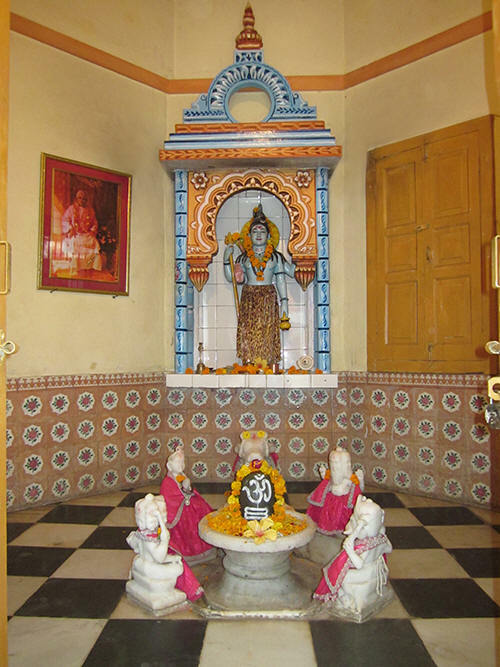 The Yajnashala in Omkarananda Dipeshwar Mandir.